From the Archive: A British Television Blog: Save the Walt Disney Treasures! 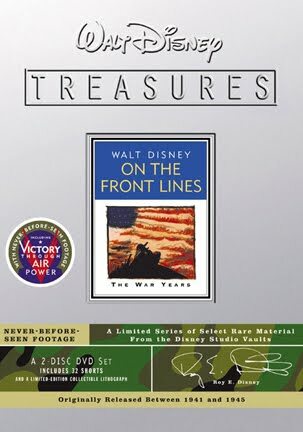 I think one of the best lines of material put out on DVD ever is the Walt Disney Treasures collections. This collection’s first wave came out in 2001 with 4 titles and has continued steadily until the 2009 release of the complete Zorro collection. It is rumored (by no means confirmed) that the line has ended and there will be no more Treasure collections. If you are not familiar with the Walt Disney Treasures collection, it is basically a lot of the Disney studio output from the time that Walt Disney himself was running it. A lot of this material covers the studio short subjects of its biggest stars such as Mickey Mouse, Donald Duck, and Goofy. Some of the other titles include episodes of the anthology series Disneyland or programs/films on all sorts of things including the original theme park. Most of the releases were signed off by Roy Disney and the releases were put together by Leonard Maltin who also was our host throughout the run putting the contents of these releases in context and being very informative. The releases were amazing for a lot of reasons. They offered is a glimpse at so many things that are rare and generally not available to the public. Great examples of this were The Alice Comedies which started in 1923 as well as Walt’s first animated character which was taken away from him right under his nose, Oswald the Lucky Rabbit. 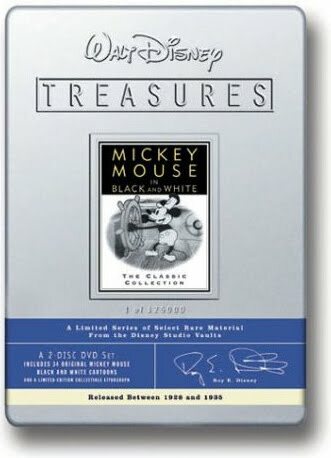 Also, it would have been very easy for the Disney corporation to just bung these pieces of Disney history on DVD with whatever material they have to hand BUT for just about everything released under the Walt Disney Treasure banner, the material was sourced from original negs where ever possible and restored to a very high standard. These really were beautiful releases! Though, none of this would be possible without Leonard Maltin. He would put forward ideas and basically produce these releases. It really shows, just like the Doctor Who releases, if you get the right people to pitch ideas it show you can release a great product using money to restore it and make a profit. It can happen. Thank you Leonard! Please join this Facebook page (just started tonight) to show you are interested in the Walt Disney Treasures. Oswald the Lucky Rabbit. Universal did a trade with Walt Disney studios. 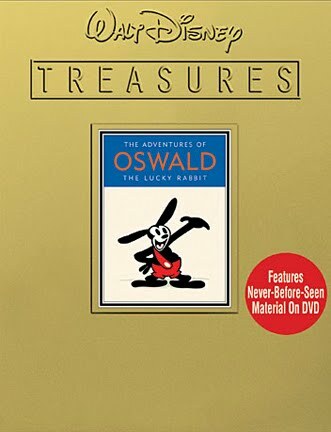 Universal got Al Michaels from ABC and Disney got the rights back of all the Oswald animated shorts. The downside is that not all of the Disney produced Oswald shorts exist anymore but they went above and beyond by scouring archives around the world to find a couple more shorts and then they were restored. All of the Treasure sets that include virtually all of the shorts for Mickey Mouse, Donald D uck, Goofy, and Pluto plus all of the Silly Symphonies. Honestly, no documentary could ever tell the story of the Walt Disney studios better than sitting down to watch these. It is amazing to look at Mickey’s first short, Steamboat Willie made in 1928 and the watch Snow White and the Seven Dwarfs from 1937 to see how far the art form had come. Watching all of the shorts produced between those years was lessons learned and practiced to achieve the next level of animation. This was taking it from short subject to feature animation. The themed sets were amazing. I am talking about such sets as Behind the Scenes at the Walt Disney Studios, On the Front Lines, and Tomorrow Land. These sets took different mediums whether it were interviews, short subjects, Disneyland episodes or even feature length films and put them in these themed sets. On the Front Lines is an amazing collection of propaganda films and educational shorts. Some are chilling such as Education for Death and Der Fuehrer’s Face with Donald Duck. 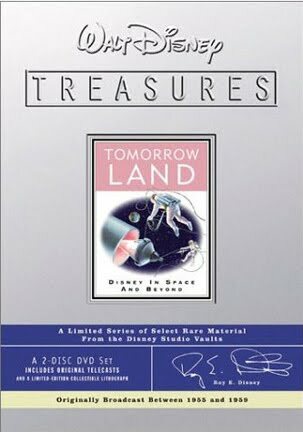 A title like Tomorrow Land is fun as it shows programs and films made in the 1950’s and 1960’s with a scientific and optimistic view of the future. Of course, none of it really was ever realized. The set is worth the price alone for the short film EPCOT which was hosted by Walt Disney. It would be the last thing he ever filmed before his death in 1966. If this is the end of the line, it is better to celebrate that this stuff had seen the light of day rather than be sad or angry if there is no more. In total 30 sets have been released since 2001. It’s been an awesome collection. If you have time, please check out the Facebook page or consider writing to the addresses above to let them know you appreciate the Walt Disney Treasures releases and that you would like to see more. If you have a favorite Walt Disney Treasures release, leave a comment and let us know what it is! Thanks for the plug. Lets rally the troops and get Disney to do keep releasing these DVD's! Absolutely! These DVDs are great and it would be awesome that if they kept going that they could make the leap to Blu Ray releases too! 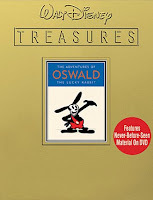 I only have 3: Oswald the Lucky Rabbit, ON the Front Lines and Disney Rarities - and I treasure htem all! I'm mostly interested in the silent era stuff, but the Wartime ones were too interesting to pass up! After I wrote the article, I was watching Oswald last night. I was really impressed how great they look. I fell asleep after Trolley Trouble but that looked so amazing. 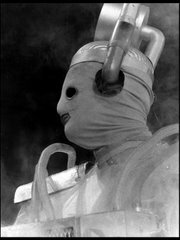 It said at the end of the short it was sourced from 35mm nitrate negatives. It was much better quality than Steamboat Willie though that may be because how more widely circulated Steamboat Willie was too. The Tomrrowland set is great ... the city of the future that he goes into detail on really sounded promising! Fun to see some of the old science short films that I remember seeing in JHS science class. I did my thesis on the original concept for EPCOT. It is kind of crafty how Disney created the Reedy Creek Improvement District which eventually became Walt Disney World. It is still basically its own government in the sense that it has different rights, zoning, etc than say Universal Theme Park. Plus a hell of a lot more land. The Tomorrow Land set is also one of my favorites because it is such a straightforward, optimistic outlook of the future. That is what I always loved about the Walt Disney narrated episodes of Disneyland or Wonderful World of Color. His approach was always so matter-of-fact it could almost be mistaken for boring but it was anything but boring. I love watching this stuff! The Zorros are the only ones missing from my collection. Someday I'll have to get those and the True-Life Adventures, although those being out of print have gotten pretty pricey. There's still so much they could still put out, too! I don't know if this character has enough material for a complete set, but I'd love to get all the classic appearances of Ludwig Von Drake. Something that would probably only be of interest to the seriously devout collector would be a collection of all the intros by Jiminy Cricket, but I'd buy it. I think the Ludwig and Jimminy stuff would be awesome to see. If you go to forums like Ultimate Disney, there are people who worked out what some of the rest of the treasures should be based on the remainder of more of the known material. To the people who put together these unofficial lists, they certainly seem to think there is room for them. I hope so, these releases are so unique, it's really sad to think that they are going to stop before everything is available.